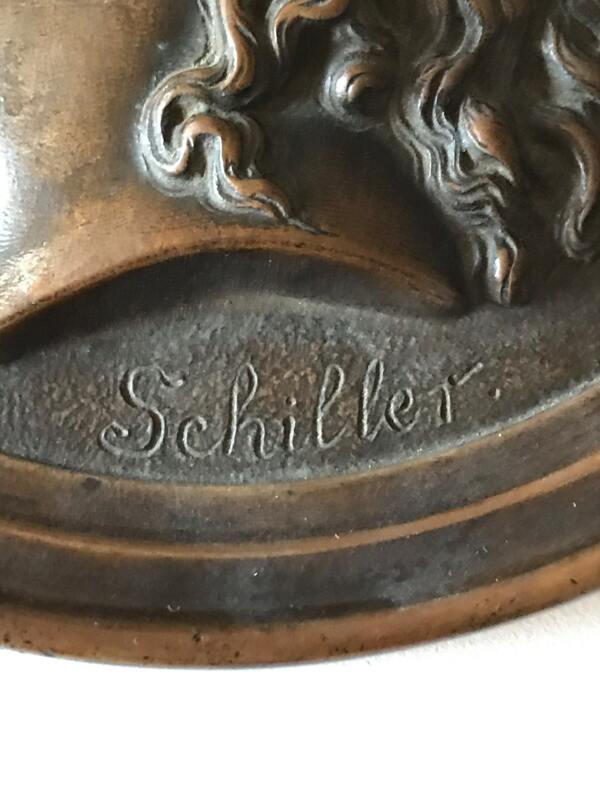 1905 Antique Bronze Medallion of Friedrich Schiller 6"
A ca. 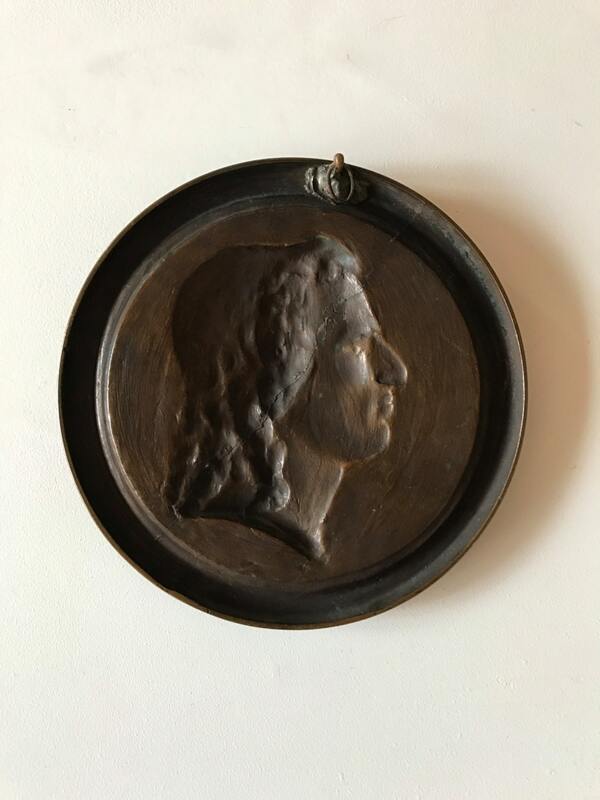 1905 German bronze medallion profiling German poet, philosopher, physician, historian, and playwright Johann Christoph Friedrich von Schiller, who was born 10 November 1759 and died 9 May 1805. 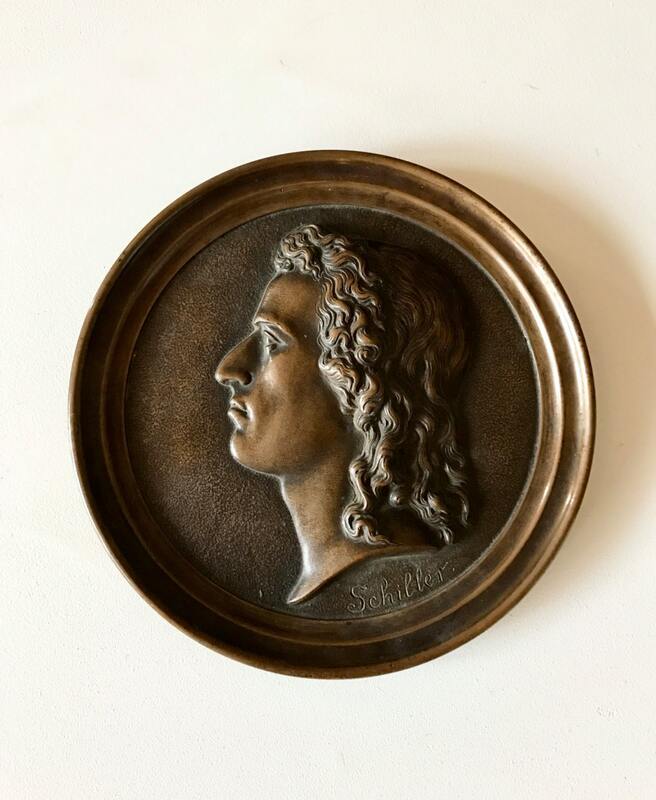 Probably made at the 200 year anniversary of his death. 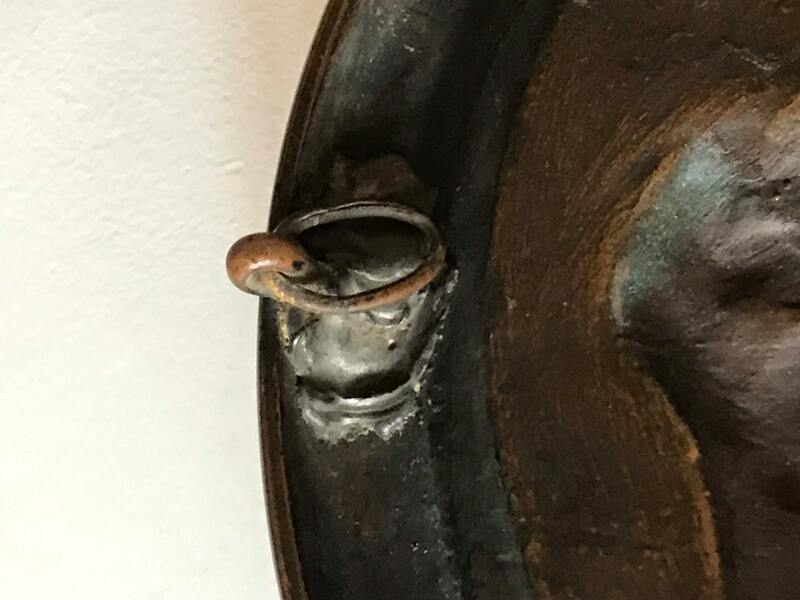 There is a ring so that it can be hung or mounted. Very desirable item. 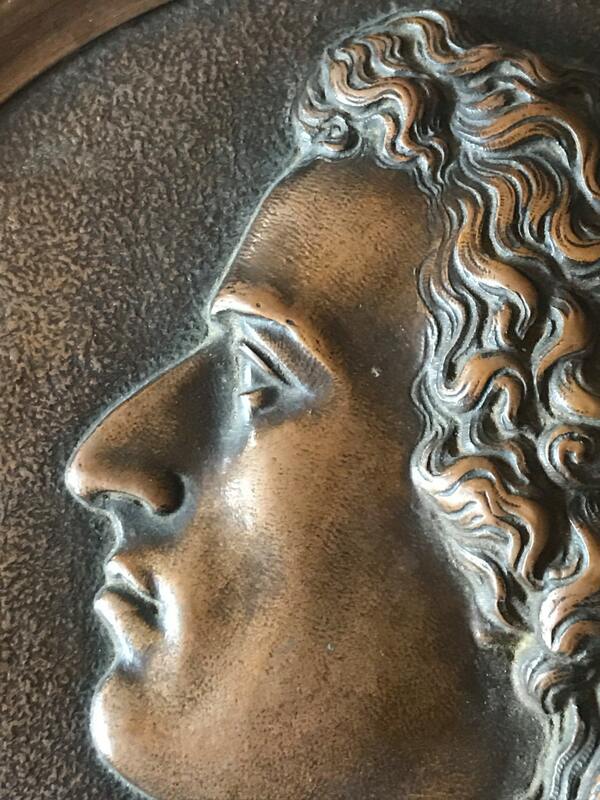 Pheomenal patina.